At MountainWorks Communications LLC, we are committed to protecting the privacy and security of the users of our sites. Please read this policy carefully. It will provide you information about how we collect and store information, and may determine what information you wish to voluntary provide to us. By using our sites, you are agreeing to this policy. This policy applies to all websites owned and operated by MountainWorks Communications. It covers information collected online by these sites, but does not include information that may be collected offline. This policy may change from time to time to address new or emerging internet privacy or security issues. Please refer back to this page periodically for updates. To place an order or shop with MountainWorks Communications LLC on our MWC SHOP page(s), you will be asked to provide information such as: your name, billing and shipping address, email address and phone number. When you purchase an item, you will be asked for credit card information or PayPal identifiers. To protect your security, such credit card information or PayPal identifiers are not stored on our servers, but transferred immediately to our payment processor for order confirmation. We will use your email address provided by you at point of purchase for your order confirmation, your order update, and returns confirmation. By providing your email to us, you are agreeing that we can send you occasional emails alerting you to new product offerings or other information we deem appropriate to your interests. Once your order has been confirmed, or anytime thereafter, you may opt-out of our email list. When you sign up for one of our communications products or vehicles such as a column, newsletter, ezines, or text-messaging, your name, cell phone and email address may be requested. It is possible, depending on the product offering, that additional information will be requested. Requested information is housed on secure servers by our list management or payment processor providers. 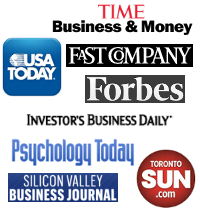 We are an opt-in company, meaning that we will not send you columns, newsletters or ezines unless you have requested that we provide that service to you, or unless you have purchased items from us and have been added to our list at the time of purchase, with your approval, or have voluntarily provided that information to us through various surveys, research participation or other offerings. We do not share customer information, including email addresses, with other parties, except as noted as part of the above transactions, or as required through our payment processors and list management providers, or other third party service providers with a few exceptions. These exceptions include, but are not limited to: a valid legal inquiry or as needed under subpoena, court order or search warrant; or in the case of site security breech or personal or physical threat. We reserve the right to transfer user information for the purposes of the sale of related assets, specific products, company mergers, sales, transfers or acquisitions.